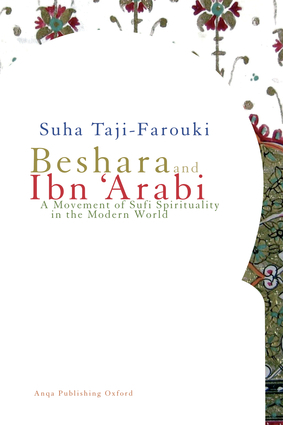 Investigating sufi-inspired spirituality in the modern world, this multi-faceted and interdisciplinary volume focuses on Beshara, a spiritual movement that applies the teachings of Ibn ‘Arabi in a non-Muslim context. It traces the movement’s emergence in sixties Britain and analyses its major teachings and practices, exploring through this case-study the interface between sufism and the New Age, and the encounter between Islam and the West. Examining from a global perspective the impact of cultural transformations associated with modernization and globalization on religion, this timely volume concludes by tracing possible futures of sufi spirituality both in the West and in the Muslim world. Suha Taji-Farouki is Senior Lecturer in Modern Islam at the Institute of Arab and Islamic Studies, the University of Exeter, and Research Associate at The Institute of Ismaili Studies (London). She has written extensively on modern Islamic thought, including (ed.) Islamic Thought in the Twentieth Century and Modern Muslim Intellectuals and the Qur'an. She is the author/translator of Ibn ‘Arabi, A Prayer for Spiritual Elevation and Protection.